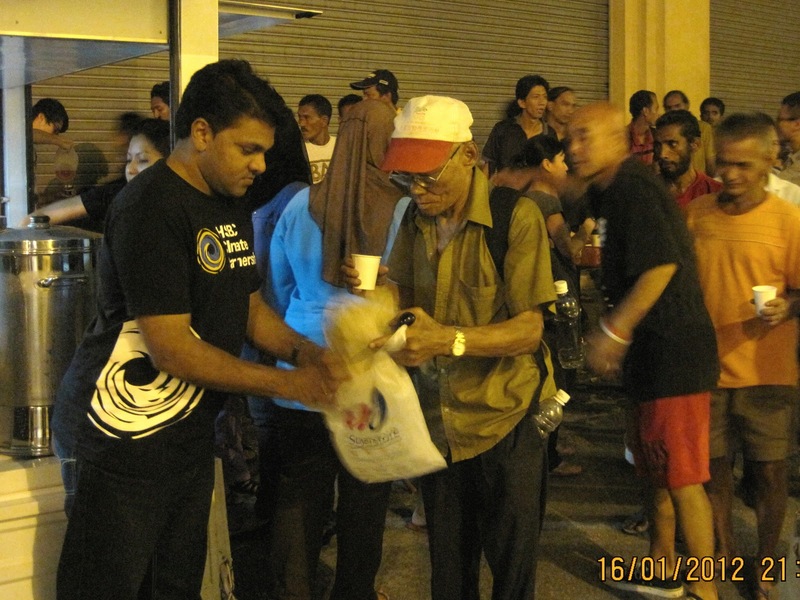 PERTIWI Soup Kitchen volunteers distribute food and drink to the needy regularly. The homeless are everywhere. 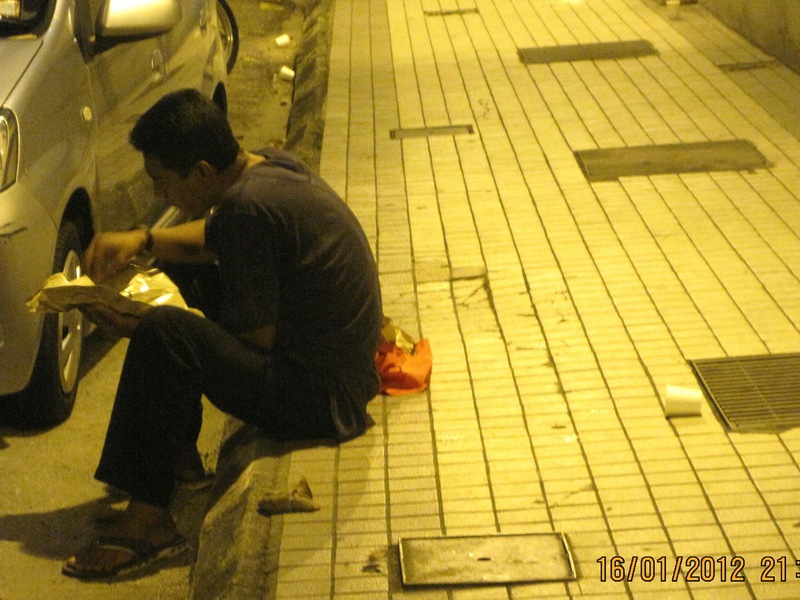 Sometimes I see them walking the sidewalks of the less glamorous parts of Kuala Lumpur city. I caught two sleeping on a pavement opposite the bus station at Puduraya. I don't think about them all the time but they are on my radar screen. I saw them again recently at the area behind Tune Hotel at Medan Tuanku. I had accompanied a photojournalist friend who wanted to take pictures for a magazine of members of PERTIWI Soup Kitchen serving meals to the homeless and hungry. 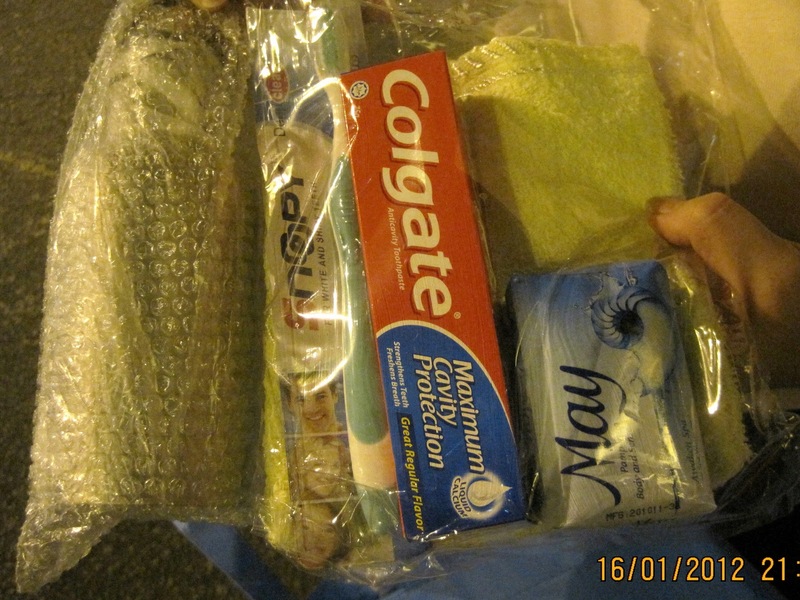 The NGO does this on a regular basis and visit various locations around Kuala Lumpur distributing food and drink to the needy. 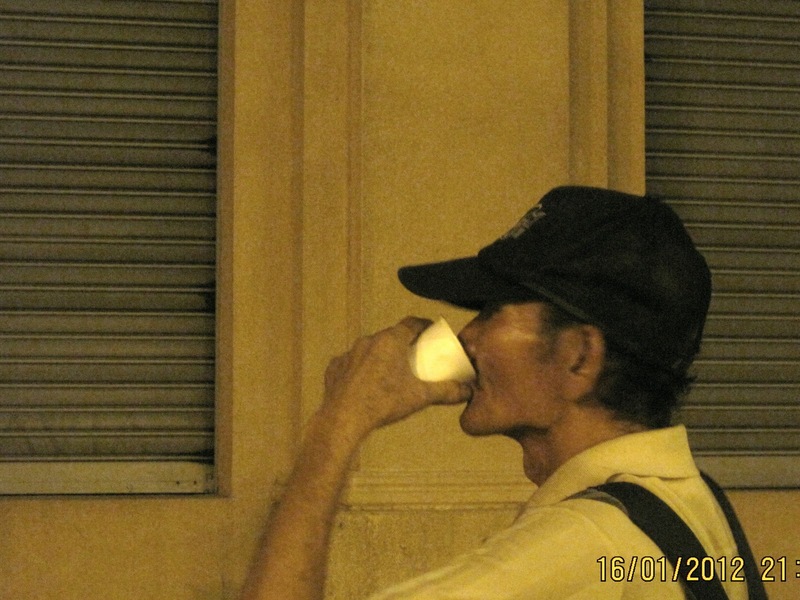 He quenched his thirst with a hot drink. A long queue of homeless people built up as soon as PERTIWI volunteers set up tables for the soup kitchen. Women and men quietly waited for their turn to take their food and drink. Those who have received theirs smiled in appreciation and disappeared to their favourite spots in the immediate vicinity to enjoy their rations. They were also given hygiene packs, courtesy of HSBC Bank Malaysia Berhad. Did this meal satisfy his hunger? Where do they go after this? Where will they sleep tonight? What dreams do they have? Do they think of their families? What's for breakfast tomorrow? When will their next meal be? Where will they take their shower? I ask myself these questions each time I come face to face with a homeless person. And if I thought I was safe from such a fate, I had better think again. "I'll never be homeless." What an arrogant assumption! Lots of evidence reveal otherwise. The fact is, a series of incidents in our lives can leave us completely destitute for years. Click here for one example.